Yesterday I packed up Mads, Corrie, and Albert and headed south. I am from a small town in SE Texas called Nederland where, as I usually just tell folks as a basic geographic reference, Texas meets Louisiana meets the Gulf meets good Cajun food. Can you picture it? This was my first time to go home since I moved back to Texas..... and although it was tough going back to the place where Mom and I first began our journey together 43+ years ago, I knew I needed to be there. I have quite a few amazing cousins in the Nederland area, and one in particular is struggling right now...in the very same way I was struggling a few months ago. Her mom, Leah Anne, and my mom are cousins and actually grew up together, but her mom was not able to attend mom's memorial service because she had been sick for a spell and not able to really do much of anything. Well only a few weeks after my mom was taken from us, we got word that Leah Anne was not just sick, but rather has pancreatic cancer. So now another person in our family has been struck by this horrible and evil disease. I honestly don't understand how one family can experience as much pain and heartache as ours has (and I have only shared publicly a fraction of what has happened the last few years). Leah Anne is turning 70 in October and before she gets too far into her treatments, her daughter wanted to throw her a birthday party so that we could all come and CELEBRATE HER LIFE. 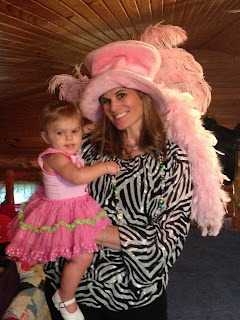 And in true Cajun family fashion, it was a Mardi Gras themed party. 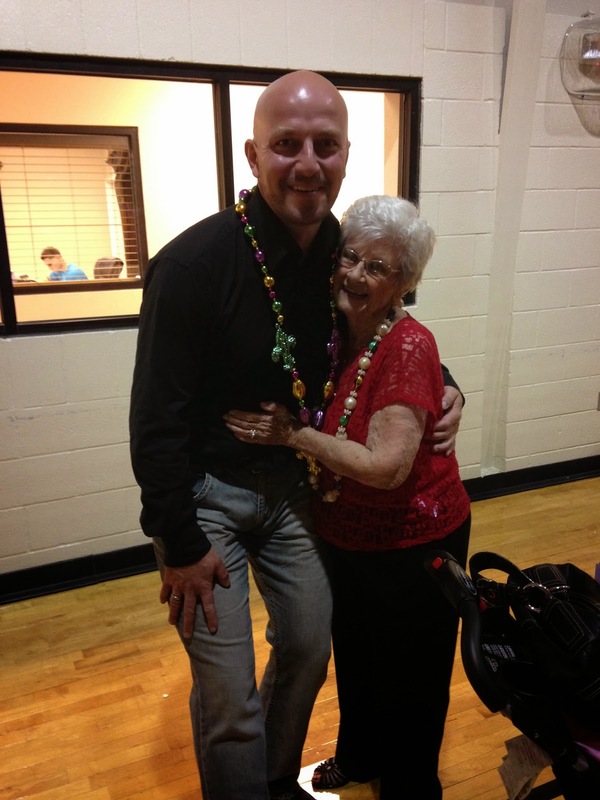 We Cajuns don't care what month it is; we are always ready to don the beads and the feathers and turn up the zydeco music and have a fabulous time together. 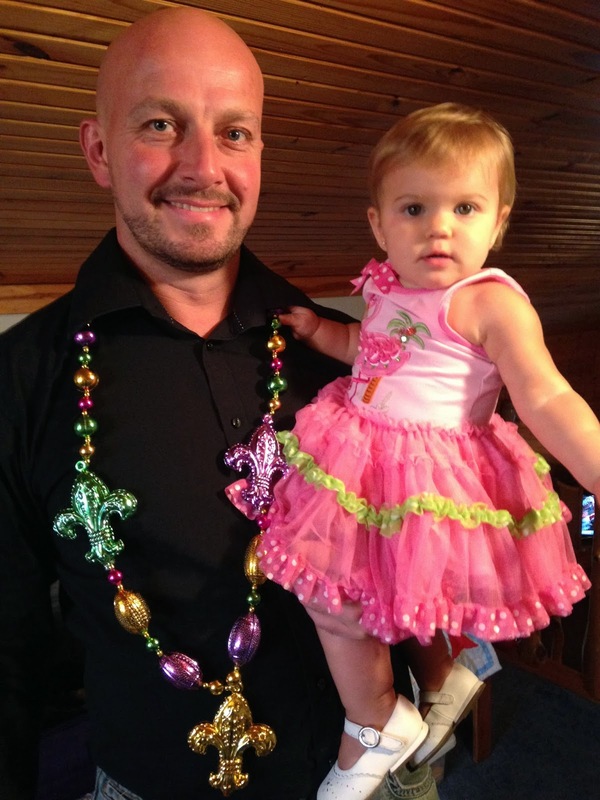 Not only was this a night to celebrate Leah Anne's life, but it was Mads' first time to come to a REAL family party filled with good ol' Cajun folks and I have to say...HE FIT RIGHT IN. I always knew he would, but to see him enjoying himself last night just really touched my heart because it verified the fact that I have the right man next to me for the rest of my life. So now I have the chance to support my sweet cousin, Danielle, as she takes care of her momma, and I only hope and pray that I can somehow help her as she walks this journey, cherishing every single moment that she has with her mom. 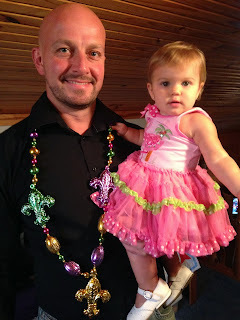 and laissez le bon temps rouler!! I love you sweet cousin and I will cherish your help and support greatly. We were so honored that y'all were able to make the trip down here as I know Madds hadn't even been here a week. Mother is still bragging that you and Madds came in for her party. Corrie is you made over.....yea! We all had a fabulous time and it was such a blessing to all be together not only for Mom but WITH her now while it counts! Harder days draw nearer so I will pull many of you nearer as well to weather the storm we all know is coming. Every time I get a note, text, a hone call, an email or a card I hear the voice of Christ tell me I'm not going to ever be alone and Mother absolutely feels the same. Thank you for for appreciating what our goals for the party were! We had a blast!!! From a long lost friend: My prayers have been with you, and will continue to forever. You deserve every joy life has to offer. Love you lots, Your "Sista"